West Virginia parents all worry about how to protect their children when they work on the computer or access the Internet. This worry is especially acute for children under 13 years of age. Parents simply cannot sit with their child when he or she is working or playing every second of the day. This is why Congress enacted the Children’s Online Privacy Protection Act (COPPA) in 1998. 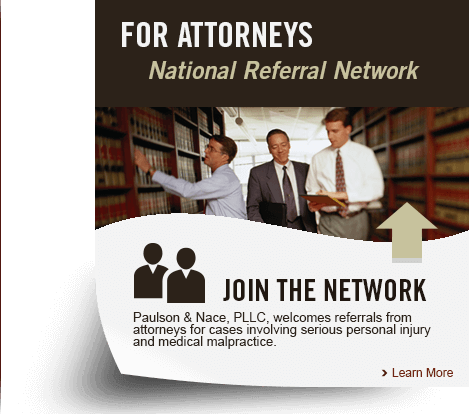 Paulson & Nace, PLLC, a family owned and managed law firm of consumer protection attorneys, knows the COPPA law and how people and companies try to take advantage of your children. As a father and son law firm, we know the importance of family. Our lawyers aggressively seek to keep children safe and stop any illegal action targeted to children, as well as to hold the wrongdoers liable. COPPA became effective federal law in 2000. It gives the Federal Trade Commission authority to regulate and enforce the act. The FTC also has authority over many other consumer privacy laws. COPPA targets the safety and security of children under age 13 when the child is online. The law is aimed at commercial websites, companies that provide online services or sell products, and mobile applications that compile, use, or disseminate personal information. Anyone or any business that operates a general website, service, or app and has actual knowledge that children under 13 are using the site must also comply with COPPA. Give parents direct notice of the desire to collect personal data from the child and obtain verifiable consent from the parent. Allow parents the choice of whether their child’s information can be collected. Give parents direct access to the information to review or delete. Provide parents the chance to stop any further use of the child’s information. Keep any child information confidential and secure. The integrity of the information should be maintained. Delete the information after its usefulness has expired. Not require that a child give more information than is necessary to engage in the online activity. The FTC has a list of FAQs about the COPPA law for parents. The lawyers at Paulson & Nace explain where parents can file a complaint with the FTC. Parents can also call 877-FTC-HELP to speak with someone directly. Our lawyers are ready to protect your children from unscrupulous web operators. Paulson & Nace lawyers are ready to assert violations of consumer privacy rights, especially when children are involved. To get advice about your rights and how to protect your children from online wrongs, contact our lawyers today. We know COPPA law and how it is enforced.